Give your look a promotion with this bodycon. 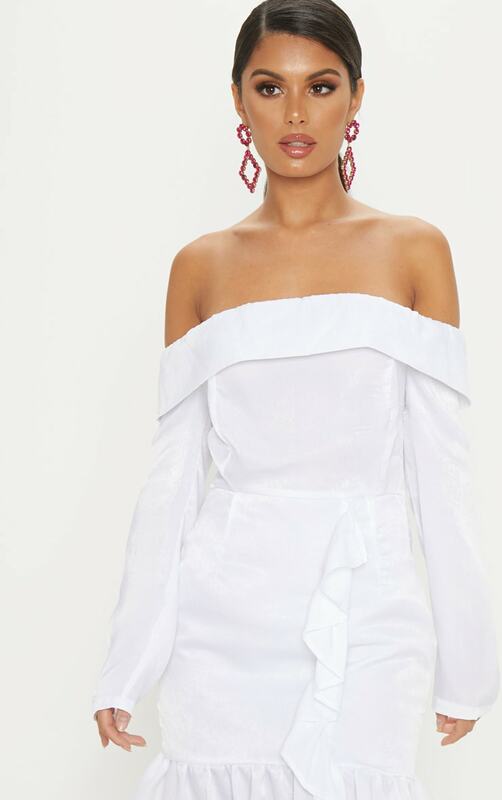 Featuring a white satin fabric, bardot neckline and frill detailing. We love this styled with mules and statement earrings for a killer outfit this weekend.